Hey friends! Today, as the title says, I’ll be doing a review of the Smashbox #Shapematters palette that I was gifted a few weeks ago. Smashbox is marketing this to be a 3 in 1 palette. 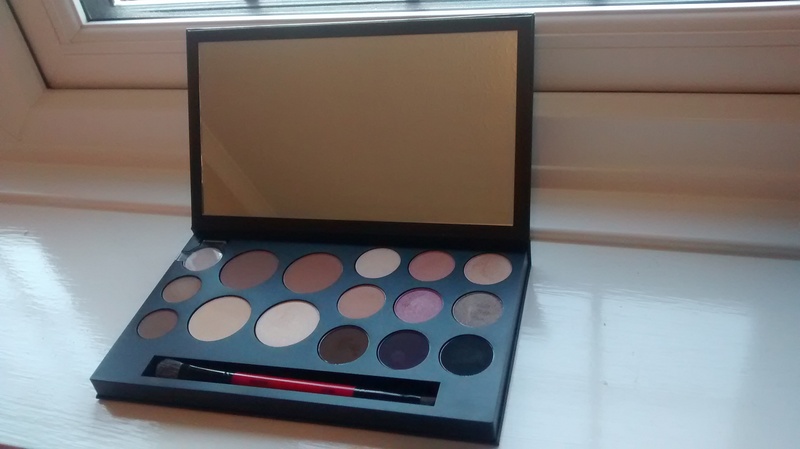 One section being for your brows, a contour and highlight kit then a selection of eyeshadows. I have used it on myself as well as my housemate so watch out over the next few weeks for some more tutorials. Also, if you own the palette please do let me know your thoughts and recommend me some looks! You get a selection of 9 colours altogether; 4 shimmers and 5 matte colours. My eyeshadow collection was definitely lacking in the matte shadow department so I was extremely excited to gain a range colours. The lighter mattes are nothing impressive but they worked really well for blending in my eye socket and adding a matte highlight in the inner corners of my eyes. I finally have a matte black and I don’t know I lasted so long without one! It is really pigmented and blends really well. Unfortunately, there was a bit of fallout but nothing a wipe of your foundation brush under your eye can’t fix. The shimmers, however, are really unusual which I love! Ignoring the standard champagne colour, I finally have a pink/rose gold which worked really well for a quick look but still ultra glam. I also have used the shimmery purple on my housemate so watch out for that next week. The purple looks so much more glittery on the eye than within the palette itself so a primer was essential to make everything stick. There is also a greeny-gold which I haven’t used yet and am unsure what colours to pair it with so leave your recommendations below! In this section of the palette you get a contour colour, bronzer, a matte and shimmery highlighters. The highlighters are really soft and subtle to add some glow into your face but not to go overboard which strobing can sometimes do. The contour colour, at first I thought it would be too light for me but I actually would prefer to use this colour for a day look rather than my Sleek palette. And the bronzer.. if I’m honest I have no idea what this does for me but once the contour colour goes I’ll probably end up using it. This part of the palette I really dislike. Maybe that is because I am biased since I don’t need to or like to fill in my brows. But as a person with black coloured hair, both shadows are far too light even if I felt inclined to fill them in. Otherwise this is a really great and versatile palette that is perfect if you travelling but want to create varied looks. 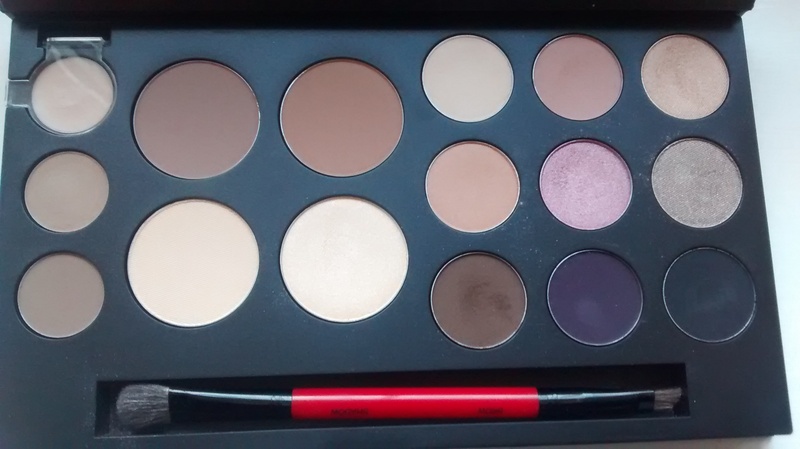 I am looking forward to showing you more looks using this palette and until next time, bye!